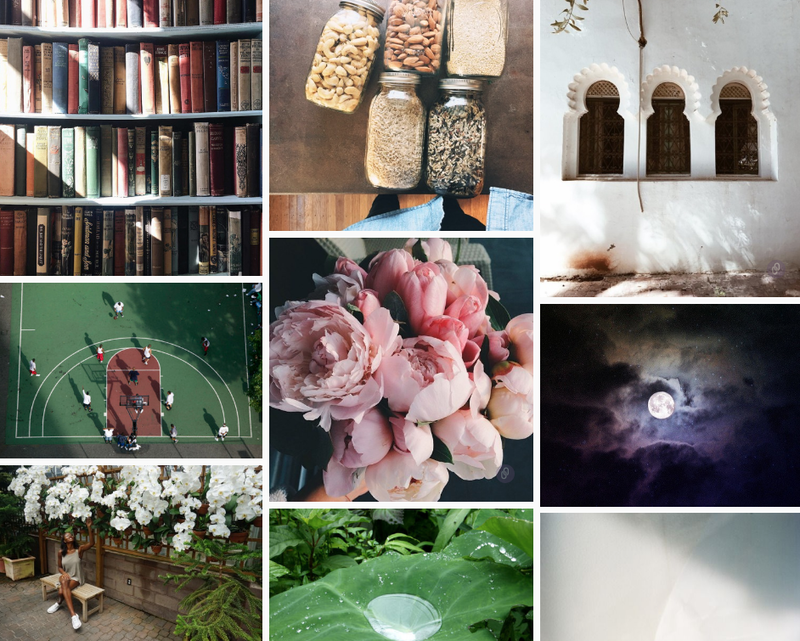 Le Petit Marché | the active spirit. 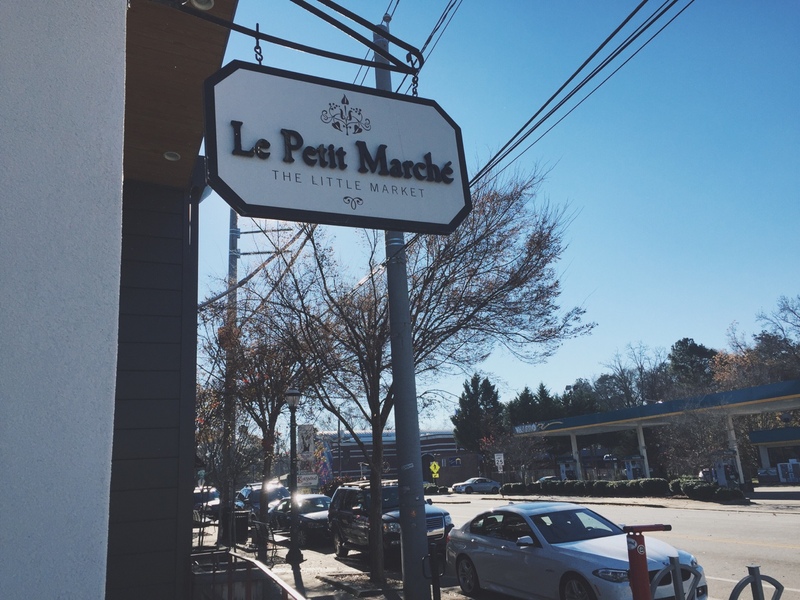 So here's the low-down on Le Petit Marché: It's tucked away in East Atlanta's Kirkwood neighborhood. People rave about this place. Out of 400+ reviews on Yelp, it currently has 4.5 out of 5 stars, and it's a (black) family-owned establishment. Why I haven't been before 2015 is beyond me, but after seeing it featured on both Beth's and Sheriden's blog, I had to go. 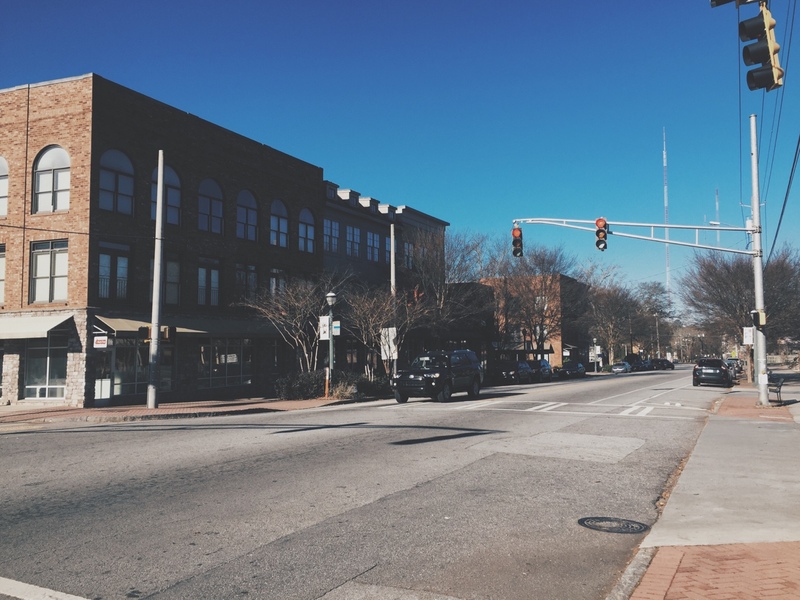 It's about a 30 minute drive from home, but Kirkwood is a nice little escape from other parts of the city. The restaurant is small but mighty. 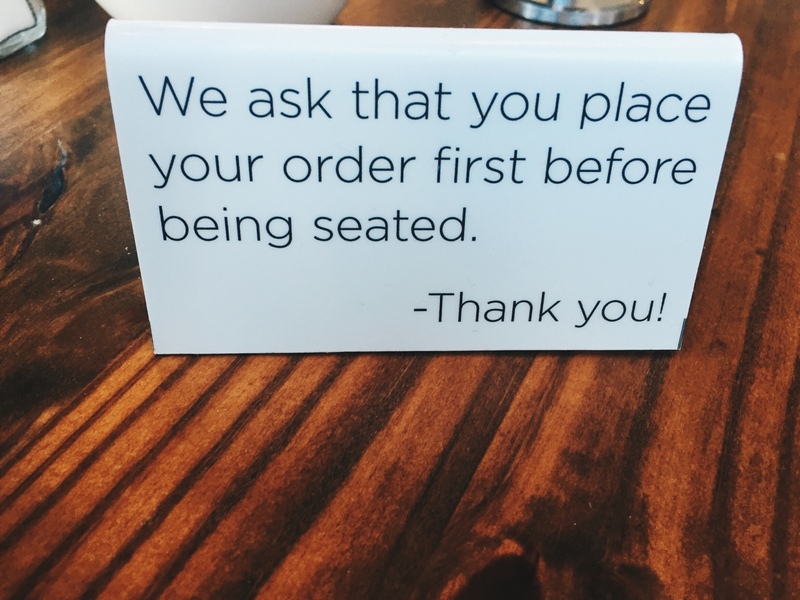 You place your order before finding a seat, which keeps things moving and keeps servers available for the "orders up!" announcement constantly coming from the kitchen. 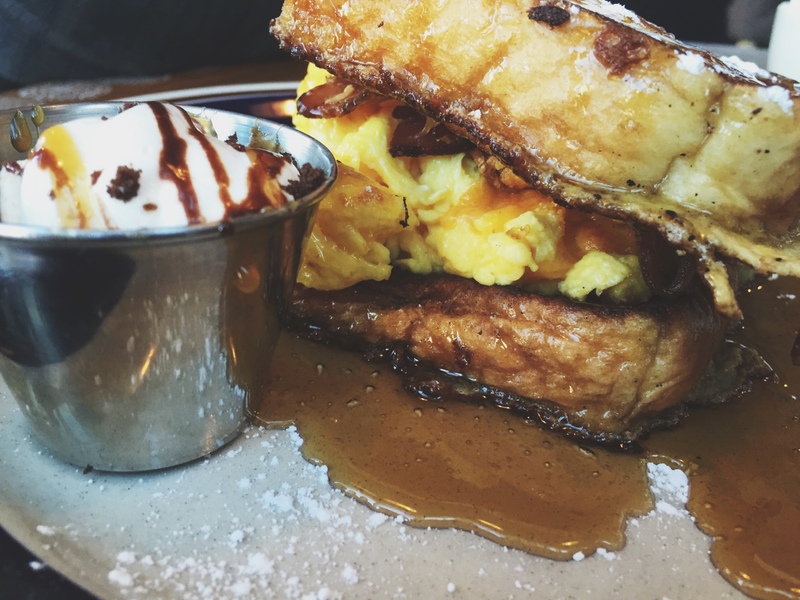 Pictured first is the French Toast Sandwich: scrambled cheese eggs and bacon between two slices of syrupy french toast. 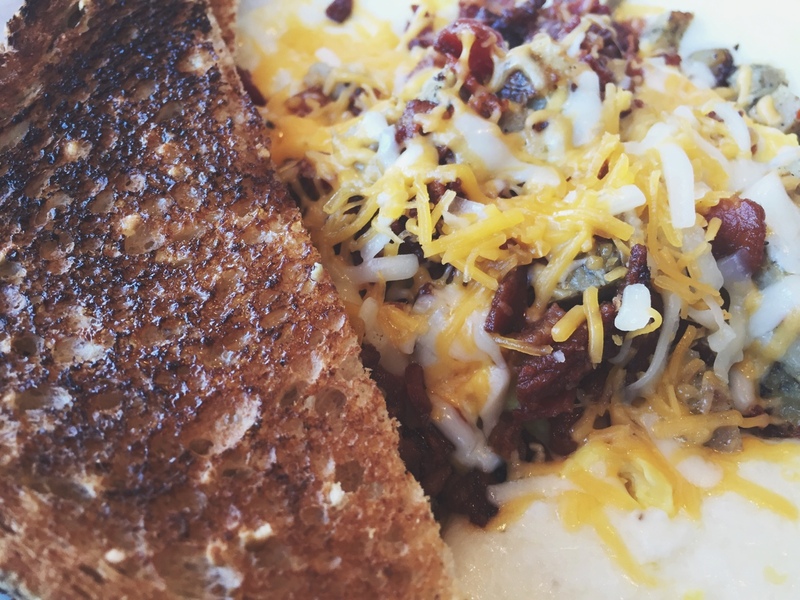 Pictured second is the Grits Stack: creamy grits topped with scrambled eggs, cheddar cheese, bacon, and chicken sausage, and a side of wheat toast. The food was wonderful. It did not disappoint and it was well worth the drive across town. In general, I enjoyed my visit. 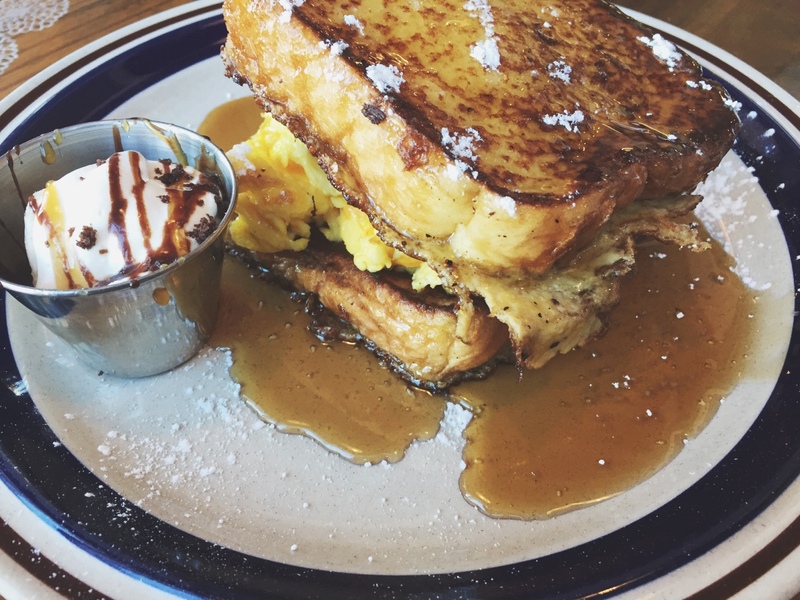 The only issue I had was the fact that the french toast sandwich came out about 15 minutes before the grits stack. I was left waiting for my food while multiple french toast sandwiches were delivered to different tables around the room. It's definitely their most popular dish, so they've probably got it down to a science back in the kitchen, which is understandable. Next time I'll try a customized egg sandwich, and there will definitely be a next time. I've been brunching hard lately, and I plan to drag Laura here as soon as possible. 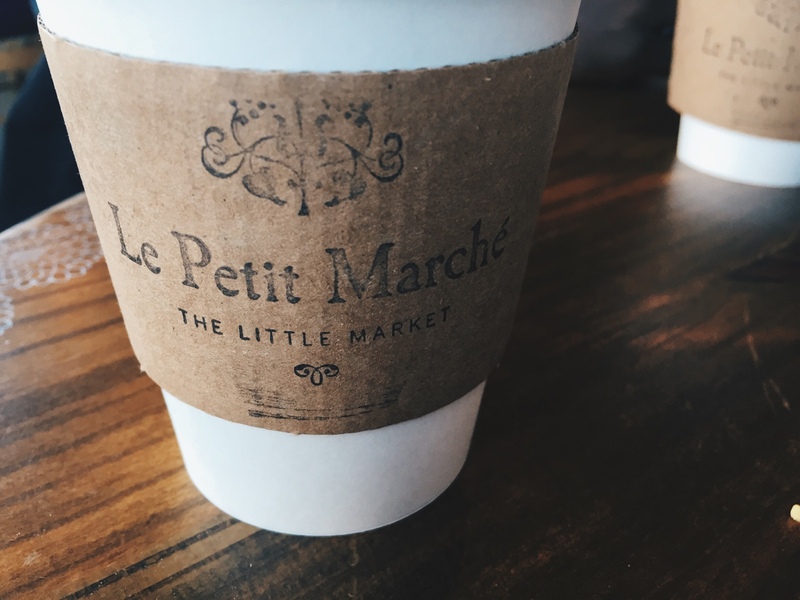 Le Petit Marché deserves every stellar review out there. I'm going to have to check this place out. I to support black owned businesses and that french toast egg sandwich looks too divine!!! It was soooooo good, but I would've felt so guilty ordering it. Way too much indulgence at once for my tummy, but those few bites were wonderful to my taste buds.